My soapbox is in position and I’m about to get on it. I was out and about recently having a play with my camera, not a paid assignment, just having some fun when I made the mistake of positioning my camera (in broad daylight on a tripod) above the train station in the city. Within seconds security had honed in on me asking what I was doing, telling me I needed permits and permissions and that I should move on. When I questioned the security guard as to what the reasons were he cited ‘security’ as the overriding factor. So, what if I had of been taking photos (or video footage for that matter) with my 8mp mobile phone….would that be ‘not allowed’ or would I have to put my mobile on top of my tripod before I was moved along? Now normally I brush these things off but this incident coupled with an incident a few months ago has started to make me wonder what the hell is wrong with our laws and by-laws and why we are moved along without a real reason or justification by ill informed security guards who are ‘just doing their jobs’. And if your issue is security explain to me how people are allowed to drive campervans straight into the underground carpark which is actually under parliament house without a security guard or security check in sight. If my campervan was laden with explosives and I parked it in the carpark under the building would my camera on a tripod still be an issue? The irony of this is that the photos were part of a travel feature promoting the A.C.T. 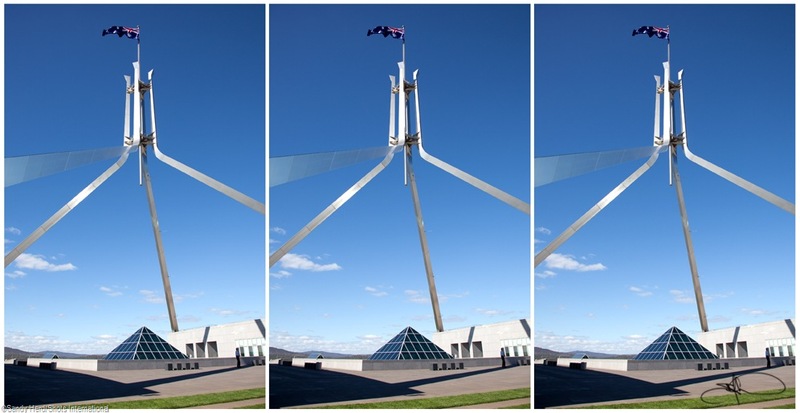 and it’s ‘tourist attractions’, one of which is Parliament House! On a more positive note I was allowed up the Q1 tower on the Gold Coast with my tripod a few months ago. Usually health and safety is cited as a rule for disallowing tripods during the evening at ‘lookout’ venues. Good onya Queensland for not giving a stuff!! Oh, that’s right you get fined there for swearing in public …dammit! I’m moving to Alaska!